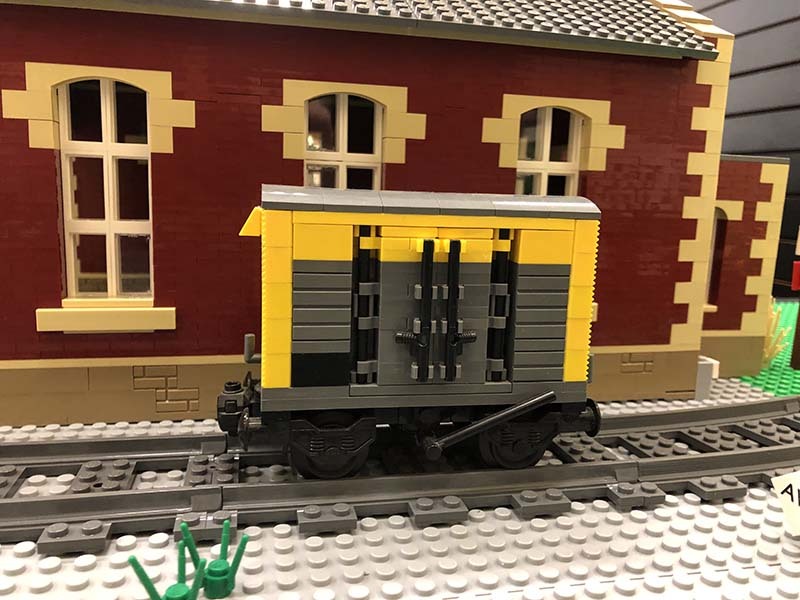 Locomotives are all well and good, but they’re not a lot of fun without lots of rolling stock! 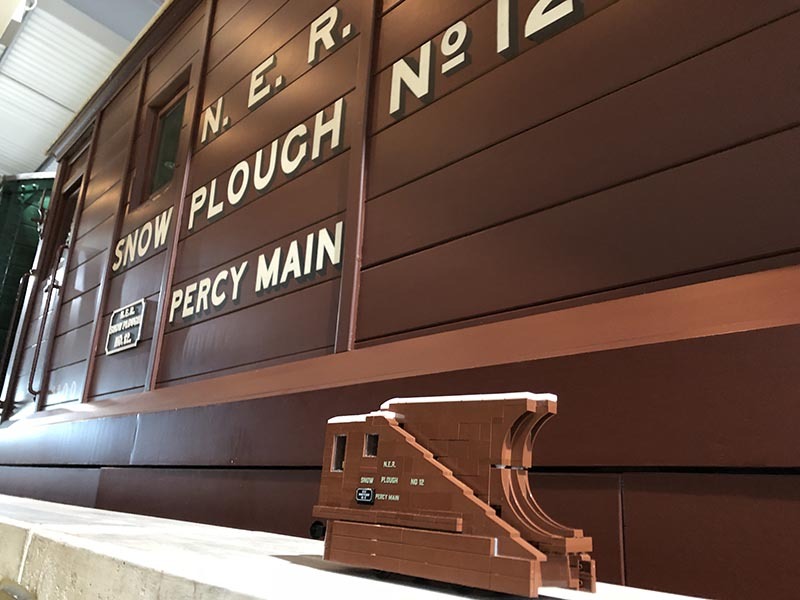 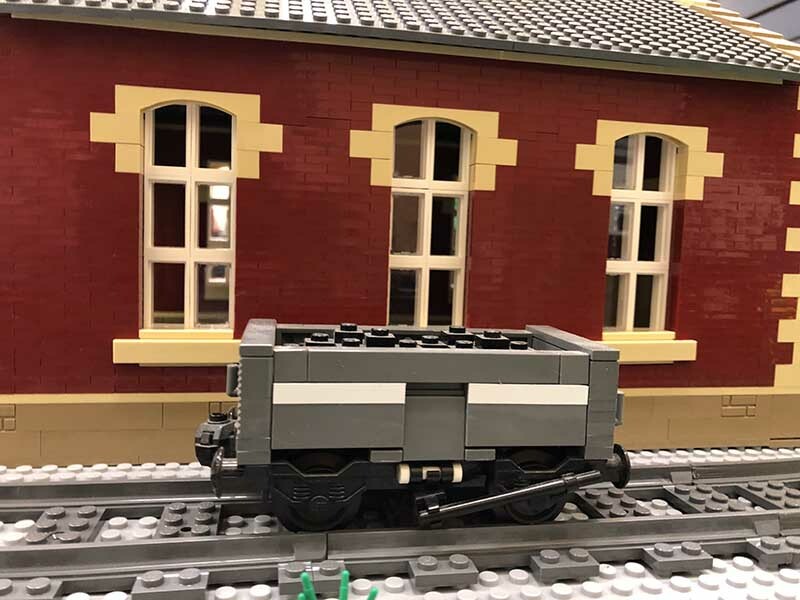 Between our members, we have a great and varied collection of the wagons, carriages and other trucks you’d expect from a traditional model railway club, as well as more unusual stock such as snow ploughs, brake tenders, and more. 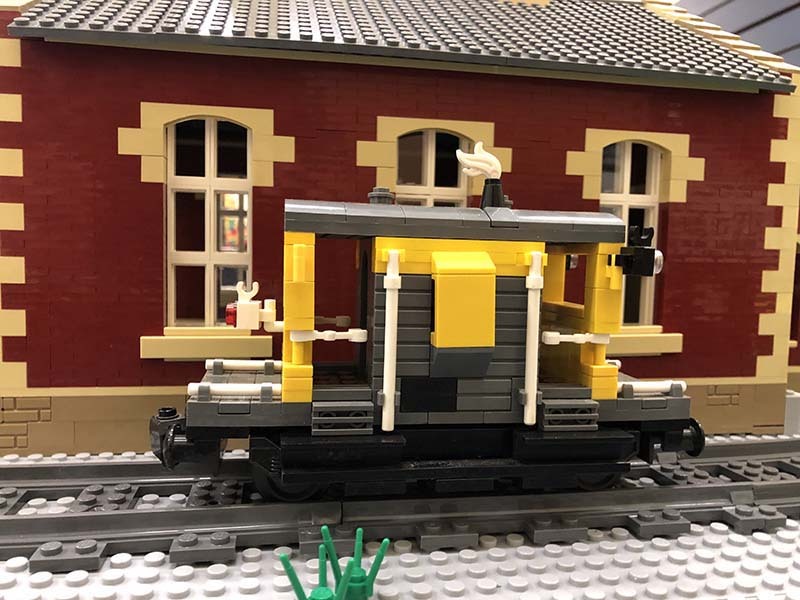 Here is a (probably almost up to date!) 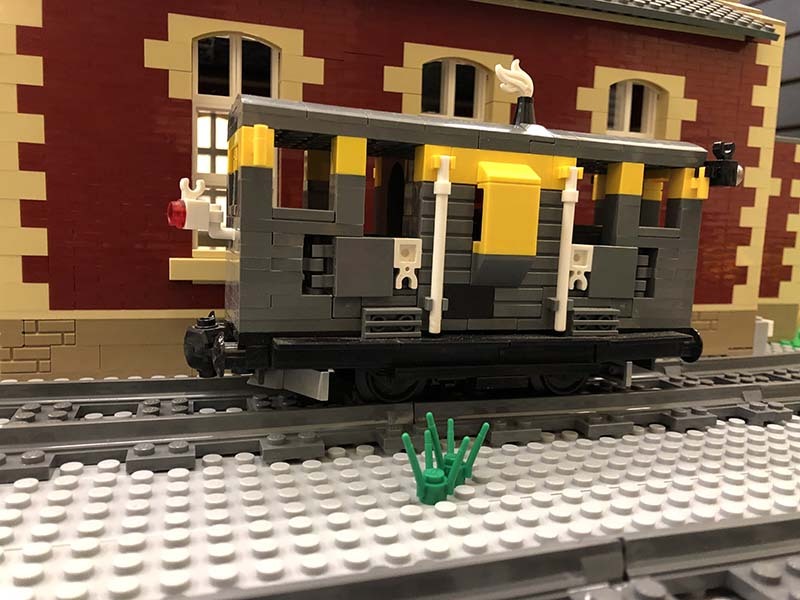 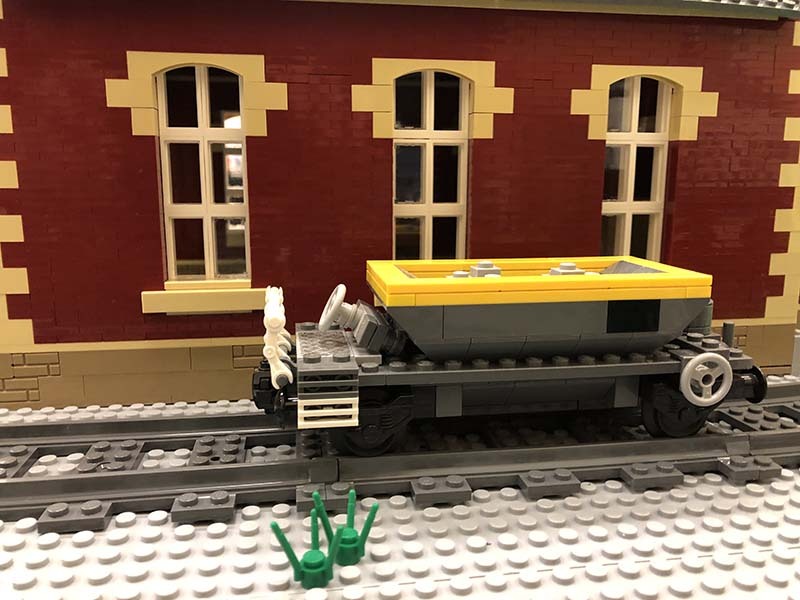 list of our members’ LEGO rolling stock models. 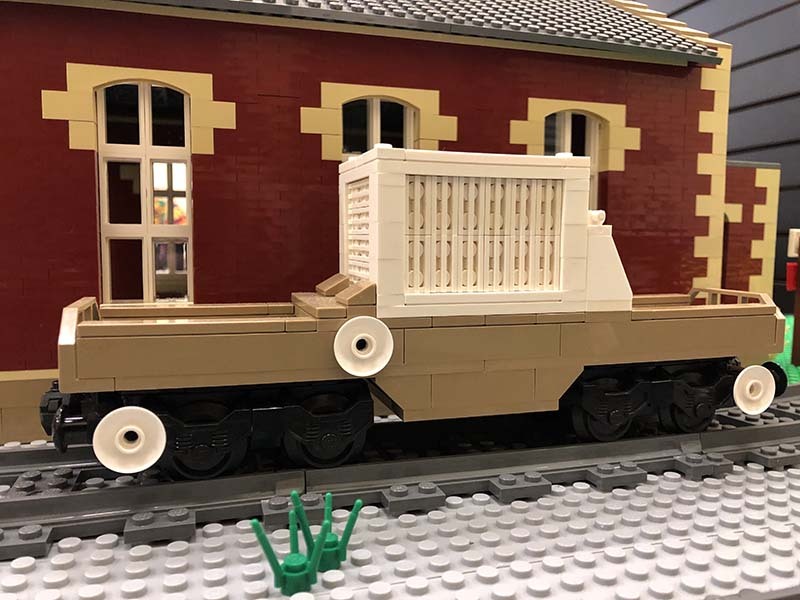 24t Ballast Hopper "Mer-Dog" (ZFV). 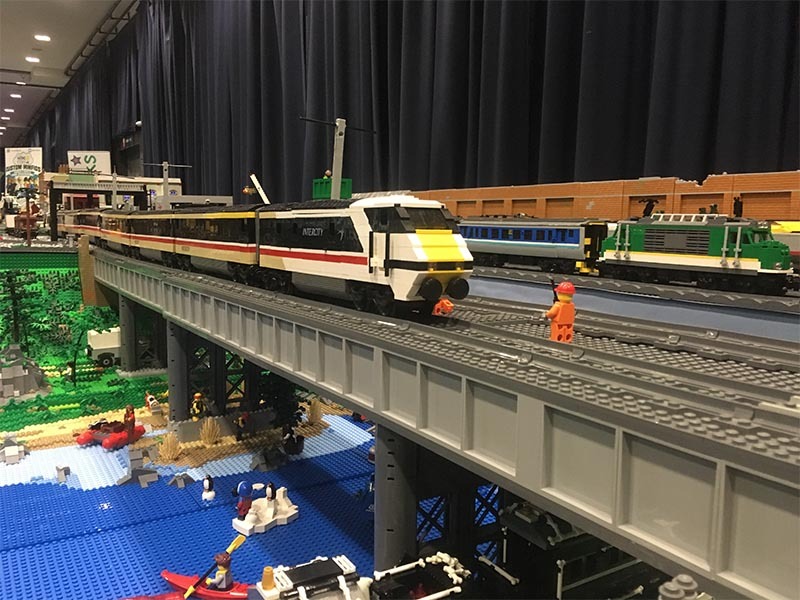 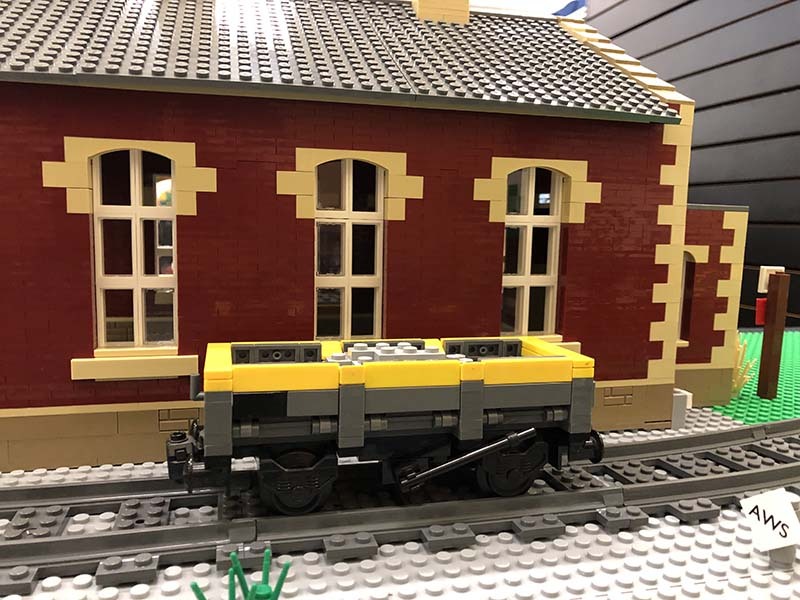 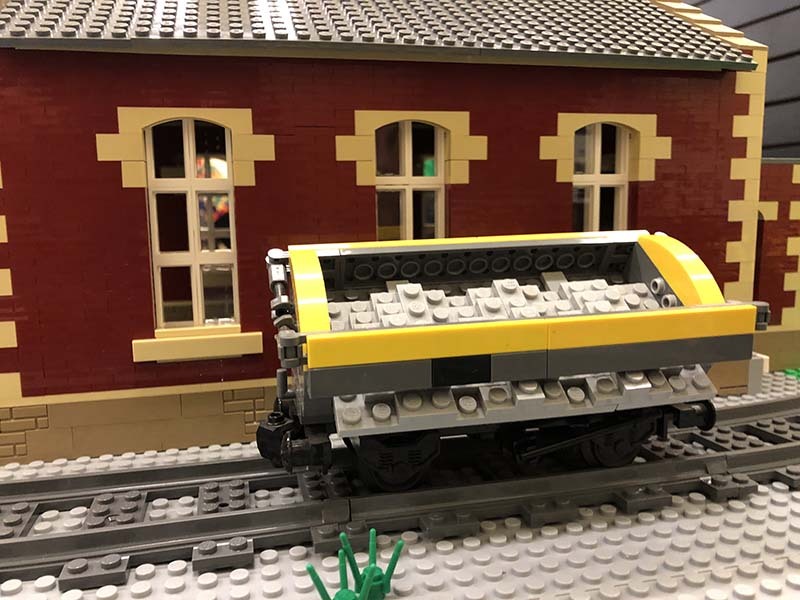 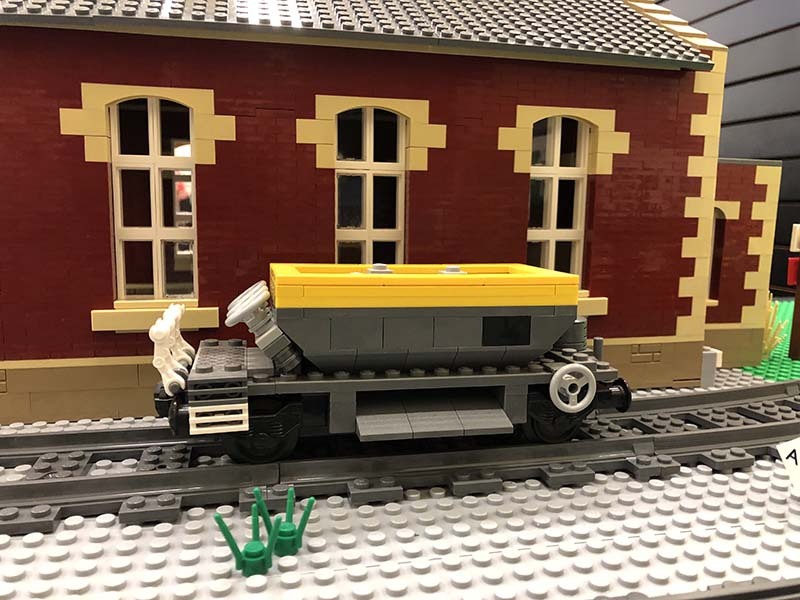 James has designed and built 9 carriages in the old Intercity livery for use with his LEGO BR class 91 locomotive model, and with the full train at 9ft long, it’s a sight to behold at LEGO shows! 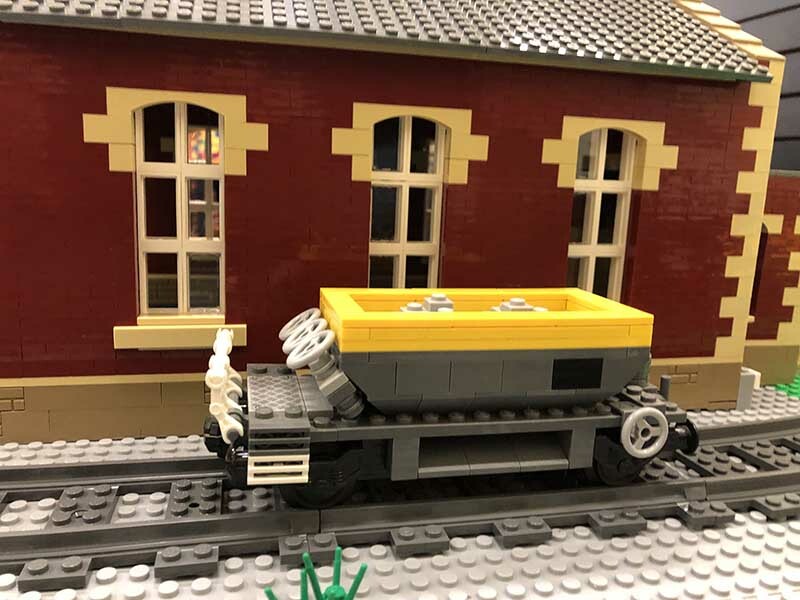 Pictured is the LEGO model next to its prototype at Locomotion National Railway Museum in Shildon. 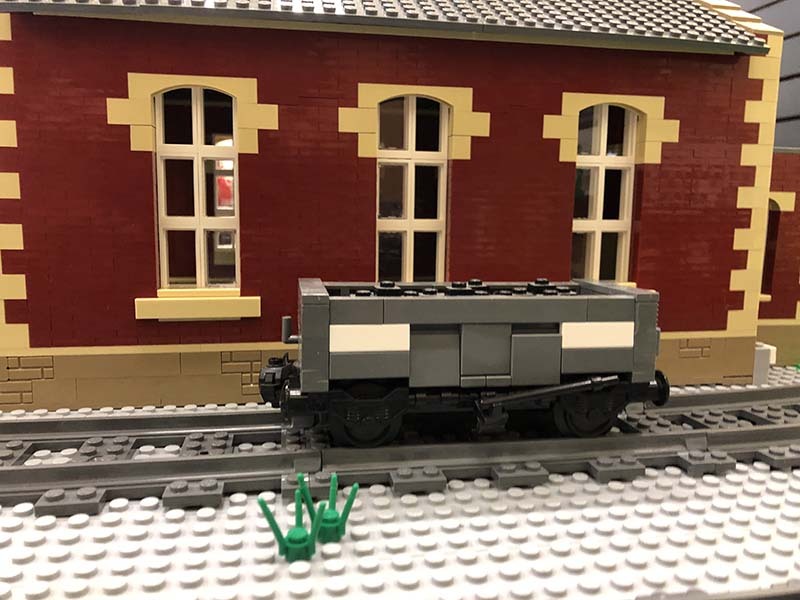 You can’t have Percy and Thomas on a display without some Troublesome Trucks to accompany them! 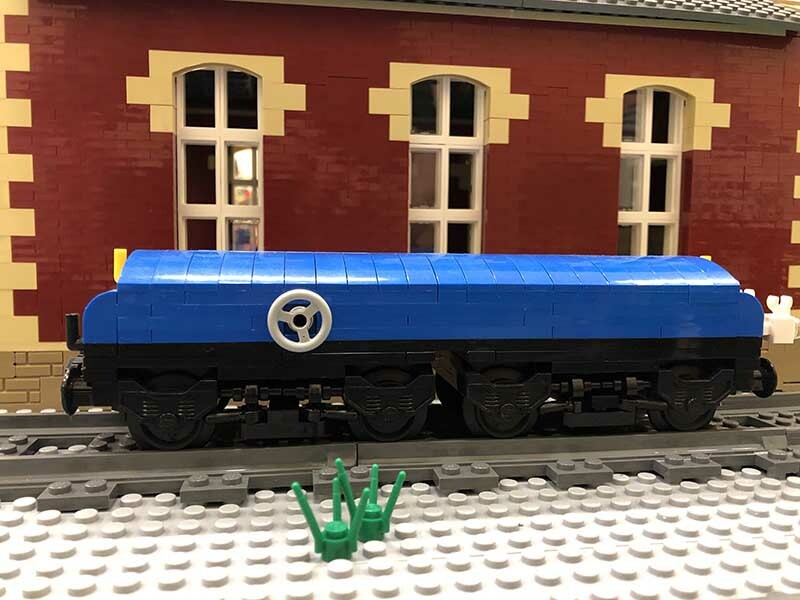 We now have a rake of 12 vehicles of various types.